Some may see it as bias, but anything attached to the Resident Evil franchise is killer. 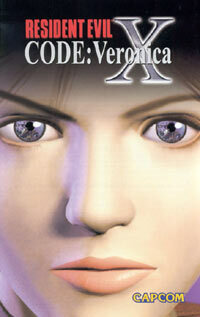 PlayStation fans were livid when Code Veronica X got an exclusive Dreamcast release. But, what's even better about this is that now the PS clan gets it straight on Platinum. Our favourite zombie blasting tough cookie, Claire Redfield has survived the horror that was Raccoon City. Umbrella's dark bio-experiments were not isolated. They had back-up plans. Here Claire searches for answers concerning her missing brother Chris. Detained, Claire escapes and confronts her biggest challenge yet. In a labyrinthine complex of military bases, underground facilities and creepy foreboding scenes you guide Claire to the truth. Dark moods, flesh-eating zombies danger, dogs and underground monsters are but a few of your obstacles. While starting out with only a lighter, systematically you equip yourself with an array of weaponry (all to be alternated and stored in your inventory boxes around the gaming area). If you're familiar with the Resident Evil formula, you'll know that you can only carry 8 items at a time, so use your discretion when embarking on surveying a new area - a surprise almost always guaranteed around the corner. Sometimes weighing whether to carry ammo and weapons in stead of an key or security card, you can face and internal conflict (especially if you know you might need to leave a space or two for essential items you may encounter along the way. Exploring every possible area will yield best results as keys, electronic access cards, weapons and medical equipment is key to your survival and progress - running & screaming is not an option. You'll find new areas like an underwater facility, a sector with metal detectors and several secret places spicing up the game as you uncover more secrets and lies. Clues and brain teasing puzzles are not as prominent, but gives the player something other than blood & guts. Access is not only obstructed by monsters but also biochemical leaks and physical hindrances, your ingenuity needed to get around. Classy cut scenes add to the improved graphics, upped quite impressively from its PSone versions. Unlock hidden games and special modes along the way as you run, blast and think your way through this fine addition to one of the best survival horror games out there.